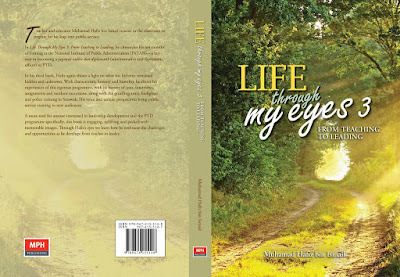 I'm excited to announce that LIFE THROUGH MY EYES 3: FROM TEACHING TO LEADING is now out for you to grab! Teacher and educator Muhamad Hafiz bin Ismail returns to the classroom to prepare for his leap into public service. In Life Through My Eyes 3: From Teaching to Leading, he chronicles his ten months of training at the National Institute of Public Administration (INTAN) - a key step in becoming a pegawai tadbir dan diplomatik (administrative and diplomatic officer) or PTD. In his third book, Hafiz again shines a light on what has hitherto remained hidden and unknown. With characteristic honesty and humility, he shares his experiences of this rigorous programme, with its batteryof tests, interviews, assignments and outdoor excursions, along with the gruelling army, firefighter and police training in Sarawak. His voice and unique perspectives bring public service training to new audiences. A must-read for anyone interested in leadership development and the PTD programme specifically, this book is engaging, uplifting and packed with memorable images. 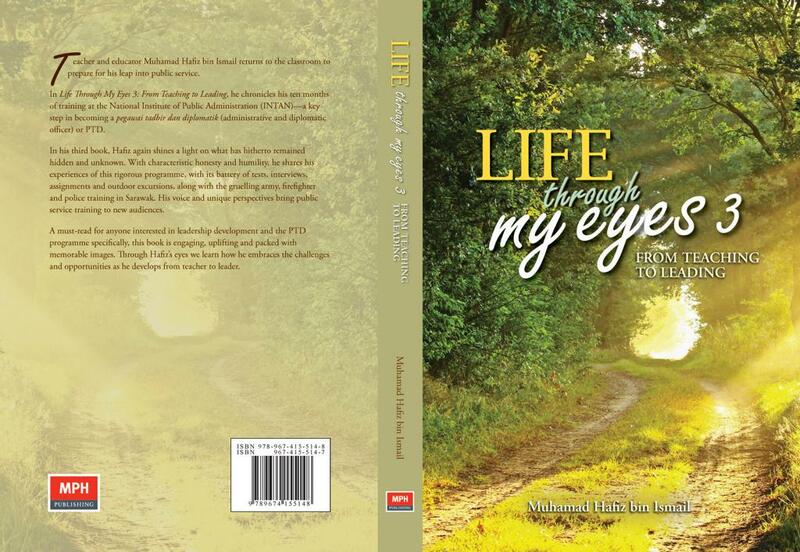 Through Hafiz’s eyes we learn how he embraces the challenges and opportunities as he develops from teacher to leader. ps: 3 books in 8 years!